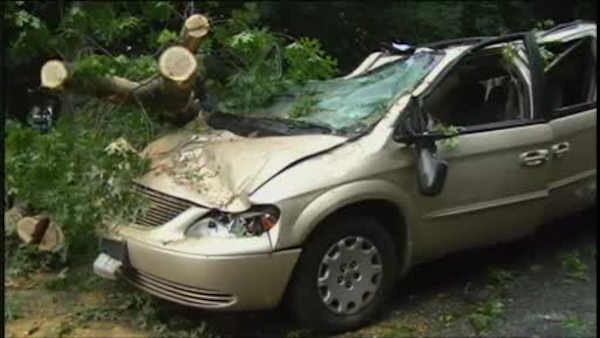 NEW YORK (WABC) -- Nine people are recovering after a tree came down on a car in Queens. The tree toppled onto the westbound lanes of the Jackie Robinson Parkway during Saturday's storms. Four of those hurt went to the hospital, one of them with life-threatening injuries. Firefighters have since removed the tree, and the lanes are back open.